I am a woman & I have tried maximum Skin products to make my skin glow. I have not turned my thirties yet but everyone wants to look good as long as they can. And this is the time I am absorbing all the information regarding the resources I can use on my skin which can give me an instant glow. But how long these Chemicals can make you look young? How long can these expensive skin treatments make you beautiful? How long these chemicals won’t harm you and work best with your skin? Have you ever thought about this ladies? We all need a “beauty mantra” & today I am going to give after approaching on myself. Pay attention to each & every detail because you are going to get some really good facts to know. Ladies, always remember only looking good is not important, your skin needs to look naturally fresh & beautiful. So let’s open the Pitara of 12 anti-aging foods that will make you look younger and natural too. Our skin needs basically antioxidants for its nourishment. 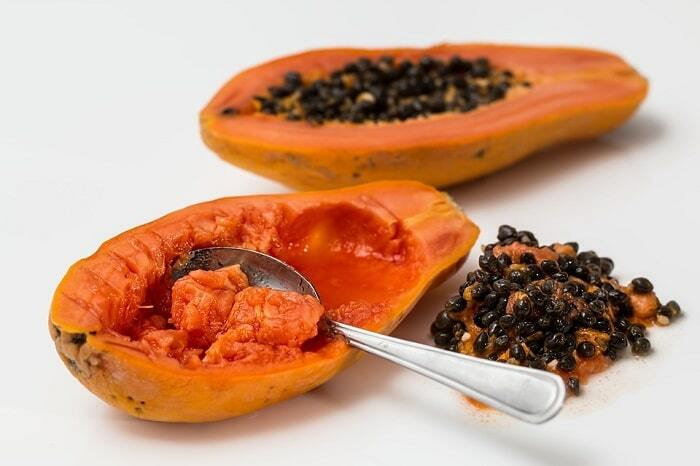 Papaya consist of all kind of vitamins like Vitamin A, Vitamin C & Vitamin E. You can apply Papaya directly on your skin as it gives amazing tightening to your skin. Papaya also the best solution to your wrinkle remedy which generally tends to be seen at the age of 40 around. Instead of applying cream & lotions to your skin, you need to work from the inside. Feed your skin with some amazing sweet & buttery fruits like Papaya. You don’t need to be fussy about big cosmetic brands promises thrown on you to make you look younger. You can always go for the natural resources & it’s going to give you 10 times better result than this. Hold the thought with you and get going ladies. 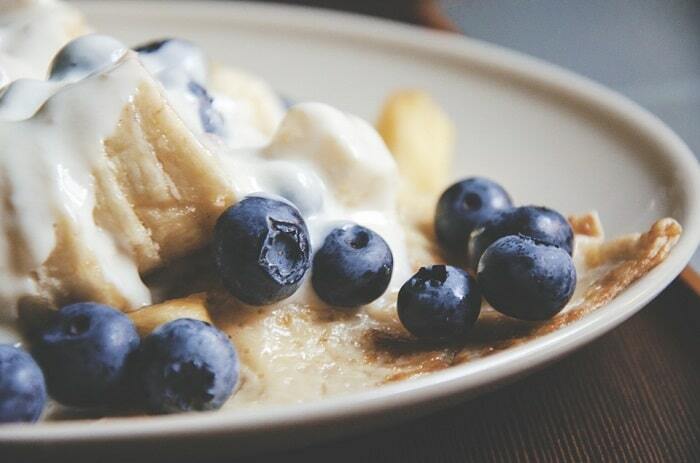 Many studies have said that blueberries are a power pack of vitamins & minerals. It is awarded by many scientists as antioxidant resource beating out 49 fruits. What power! The power is so much that it actually works best to protect your skin from sun rays and makes you look younger than ever. Try these Blueberry Pie Tacos recipe. Broccoli straightly focuses on the skin. It gives you vitamin C which helps to produce collagen, the main protein to strengthen your skin. It’s powerful antioxidant fights with free radicals responsible for aging. Eating it on a regular basis reduces your fine lines, wrinkles & other skin problems. 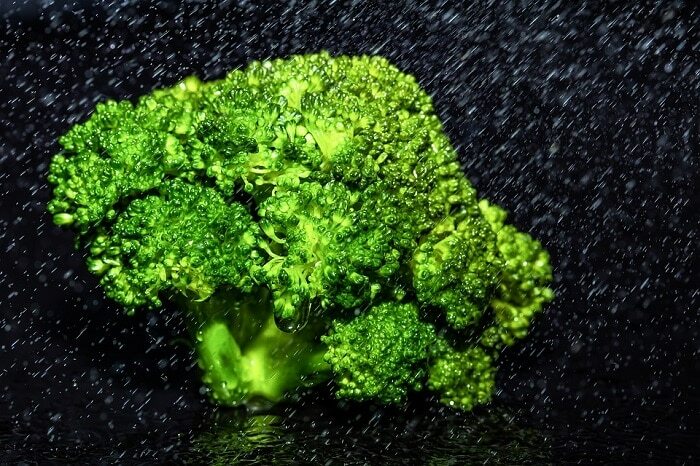 One important thing about Broccoli is that you can eat it raw also in snack & if you want to eat it cooked, it has more health benefits. You can cook this yummy Broccoli Pulao recipe. Spinach is one of the best anti-aging superfoods. It’s 10 times better than your lotions and day cream. It has resources like pigments, vitamins & minerals. 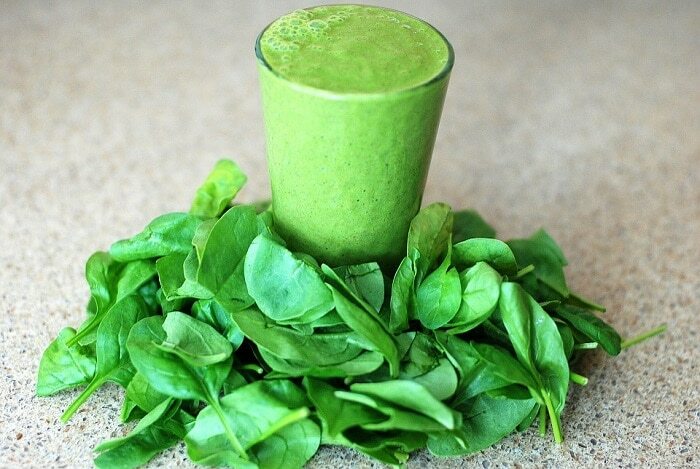 Spinach is prime resources of lutein & zeaxanthin which works as a health defense against sun damage. It maintains your skin elasticity according to the stud in the journal of agriculture food chemistry. You can try Easy Spinach Salad recipe. Nuts are high resources of phytochemicals such as polyunsaturated fatty acids. It moisture your skin, protect your skin from UV rays and well as makes your skin smoother. You should include nuts like almond or walnuts into your daily handful between your office hours or after breakfast. Nuts are heavy too so you can eat it for in between snack also. 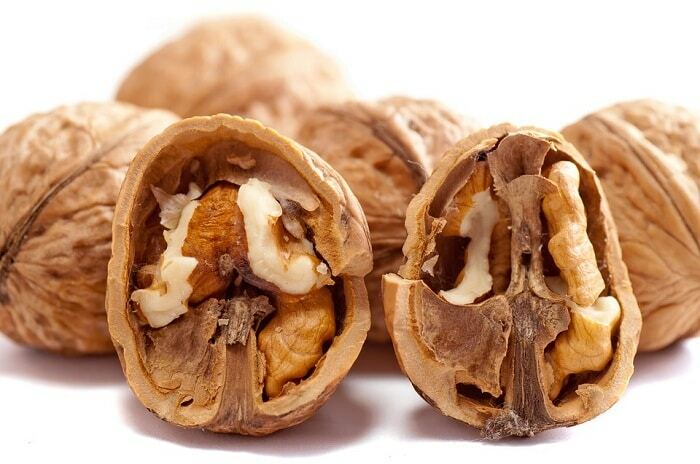 Live healthily and feel younger with nuts. Also, you can sprinkle nuts on snacks or desserts that you make on your Sundays. Make this yummy Walnut Raspberry Thumbprints. 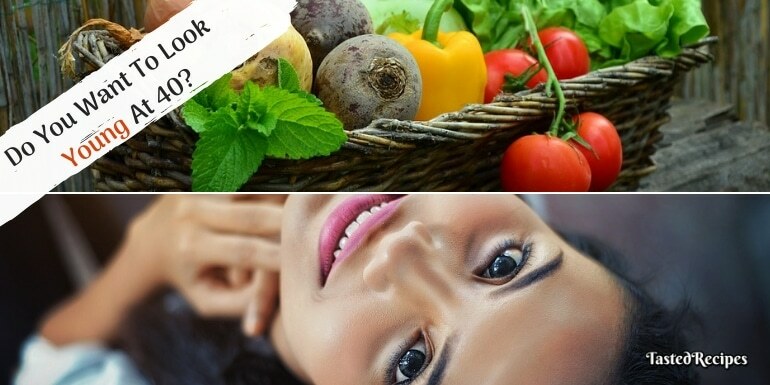 Highly responsive food that activates antioxidants & gets the glow on your face. It reduces your fine lines & wrinkles. Generally, dry skin gets anti-aging in early years. 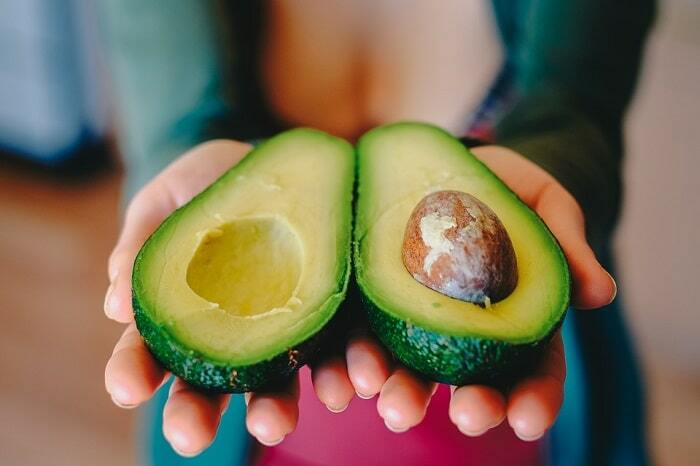 For dry skin, Avocado is best because it prevents dryness. You can even apply Avocado on your face as it is an anti-aging mask. If you keep it till morning on your face, you will be waking up youthful than ever. It’s like spa treatment on the face or even if you cook and eat it. Also, it will remove dead skin cells. It includes caffeine to perk up the skin. If somebody asks you, “Can we fight anti-aging? Can we really reverse the process of anti-aging by such natural resources? You gotta say yes! There is one natural resource that can actually make us youthful again that is Green Tea. Polyphemus present in green tea help to reduce sun damage & skin inflammation. A Chinese study said that a normal human being who consumed more Green Tea had their cells aging at a slower rate & it’s all because of the antioxidants that green tea has. It is an antioxidant moisturizer which cleans your skin & makes it radiant. Drinking green tea on daily basis helps you remove dark circles and wrinkle on your skin. Do a simple exercise. 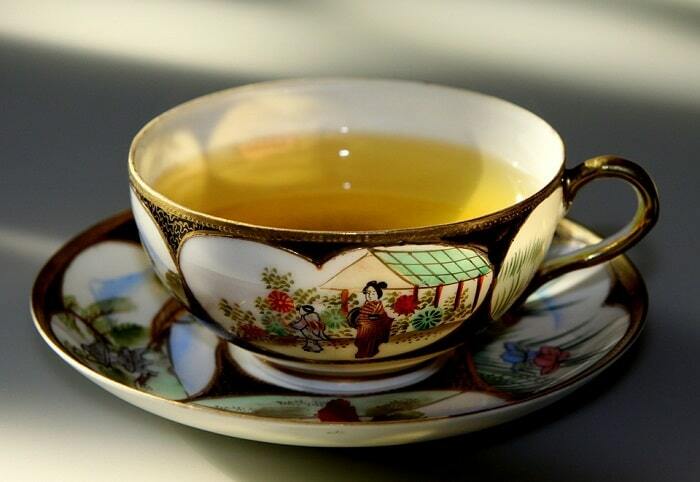 Dab a cotton ball in remaining green tea in your cup, and apply it on the skin. See the magic and share your opinion in the comments with us. A team of researchers has found that dark chocolate can reverse the anti-aging process. You can always see the skin & tell what will be the age. And you always want to be called with 20 years back to your original age. Dark chocolate can do this. It contains cocoa out of which dark chocolate is made. Cocoa is the best antioxidants for your skin. It helps in circulation of the skin & improves its ability to fight your dead cells and give newborn effect to your skin. 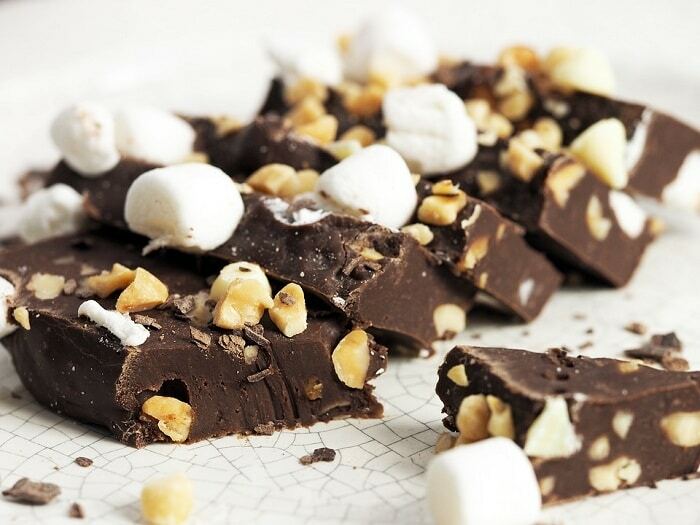 You can try the Dark Chocolate Fudge recipe. You have heard a lot about olives and olive oil. Dietitian & doctors recommend have always recommended frying in olive oils. Also when you eat pizza, you must have served with olives as a topping. Basically, olives have a huge amount of vitamin E which smoothen your skin as well as protect it from UV rays. 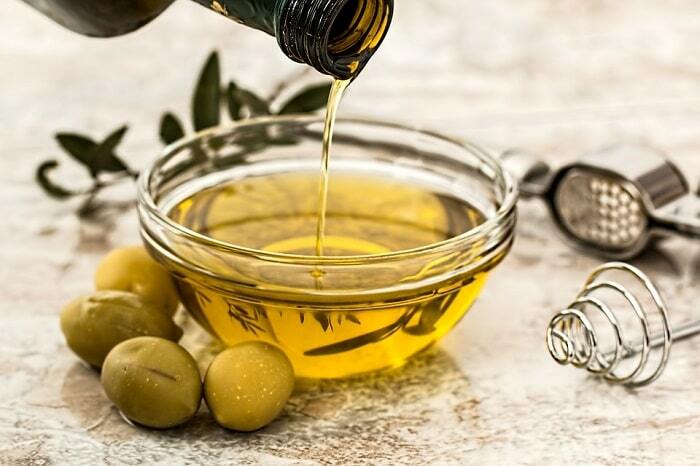 Olives are made of olive oil & natural sea salt which removes the dead cells & make your skin glowing. 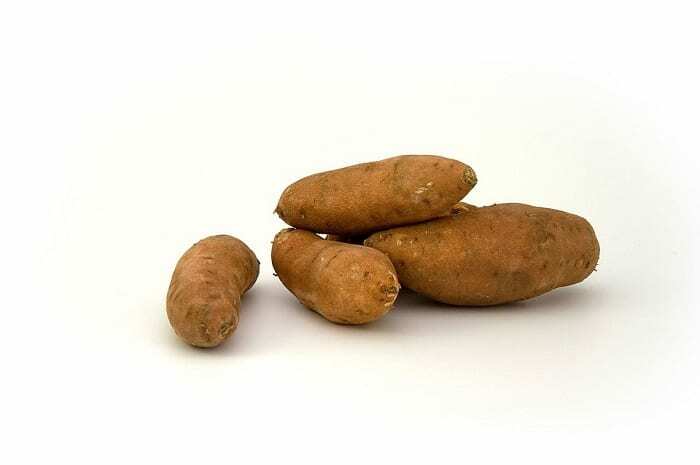 Sweet potatoes contain beta-carotene which helps your balance your skin ph level. The ph level of your skin decides how much your skin is acidic. If the balance is wrong then it results in blemishes & wrinkles. Sweet potato is root growing vegetables which are good for your skin complexion and freshness due to Vitamin A, E, and C.
Are you ready for the anti-aging cure? Start eating such foods and be originally beautiful rather than depending on some chemical skin products. These anti-aging foods are going to give you a huge amount of skin relaxation and repair your skin naturally. Because we all deserve best! Happy Good looking days now! And please don’t forget to share your ideas of anti-aging foods also ask us any doubt in the comment section.